Melanie Martinez is captivating in the “what the hell is she going to do next?” kind of way. 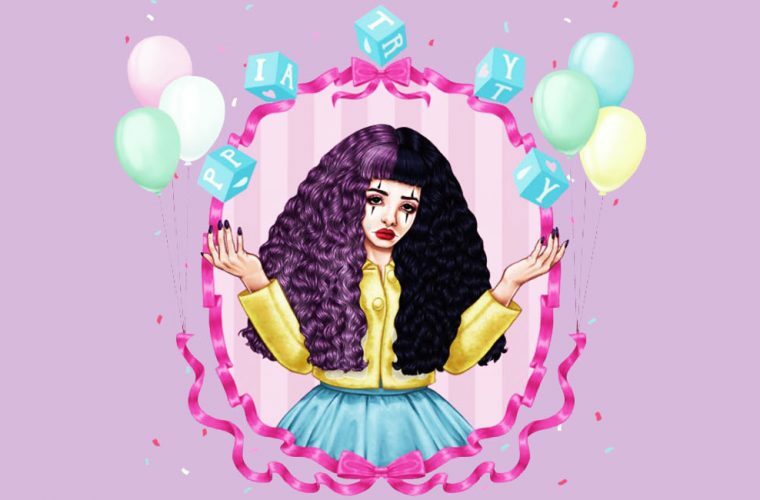 The 20-year-old alt-pop singer gave another answer to that question with the release of “Pity Party,” her first single from her debut full-length, Cry Baby. Melanie Martinez has a knack for mixing the dark and twisted with the bright and bubbly as was shown in her previous release and major label debut, Dollhouse EP, and its accompanying videos for “Dollhouse” and “Carousel.” This theme has certainly continued on in the first taste of her next endeavor. 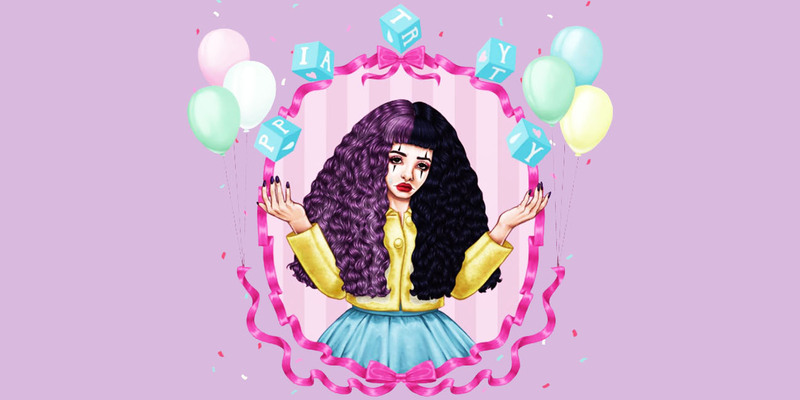 The video for “Pity Party” was directed by Melanie Martinez, proving her creativity and talent is not just in musical form. It begins with the singer addressing invitations and munching on chocolate chip cookies amidst a pink-hued room with an overall decor that reflects the upbeat introduction of the track. After mailing out said invitations and having no one show up for her birthday party, Melanie Martinez pouts around in a poofy, pink dress with jerky movements reminiscent of a puppet and facial expressions fit for someone in a padded room. Her ability to get into character makes the pity in this party all the more believable. The accompanying music behind Martinez’s vocals tends to fall flat with its somewhat dull and repetitive nature, leaving her sultry singing to (successfully) carry the tune. This, however, isn’t necessarily a bad thing as the instruments rev up in the chorus and make it more impactful. It samples and twists up Lesley Gore’s 1963 pop hit “It’s My Party” in a way only Martinez could: “It’s my party and I’ll cry if I want to / Cry if I want to (cry, cry, cry) / I’ll cry until the candles burn down this place / I’ll cry until my pity party’s in flames.” The declaration is haunting and fits in nicely for Martinez’s habit of making somewhat bubbly things boil over into the dark side. She steps it up in the next verse as she embodies a knock-off clown who is proud of her balloon animal creation. When her stuffed animal audience isn’t as impressed, she takes it out on them with a pair of scissors to the head, further embracing those creepy facial expressions. She lets it all loose next with a scream and further destruction of her pastel party set-up, most notably with visuals like taking a butcher knife to the balloons and eating the stuffing of her teddy bear. Melanie Martinez draws a close to the catastrophe by smashing into a cake, proving the truth behind the pre-chorus (“Maybe it’s a cruel joke on me / Whatever, whatever / Just means there’s way more cake for me / Forever, forever”). The final shot shows Martinez amidst the fire-filled chaos, blowing out the candles on a new cake placed atop the previous one with the inscription, “Happy Birthday Cry Baby,” which clearly draws reference to the name of the track’s album. The unique singer began her rise to success in 2012 as a contestant on the third season of NBC’s The Voice where she became part of Adam Levine’s team after her blind audition performance of Britney Spears’ “Toxic” turned three out of four chairs. She was continuously saved by Levine in the first few rounds and ultimately lost when it came to audience votes, finishing in the Top 6 and leaving the winner title to be snatched by former pop rocker and current country sensation Cassadee Pope. Rachel is a magazine journalism/photojournalism graduate whose diet consists mainly of music, movies, pizza, coffee and anything scary.